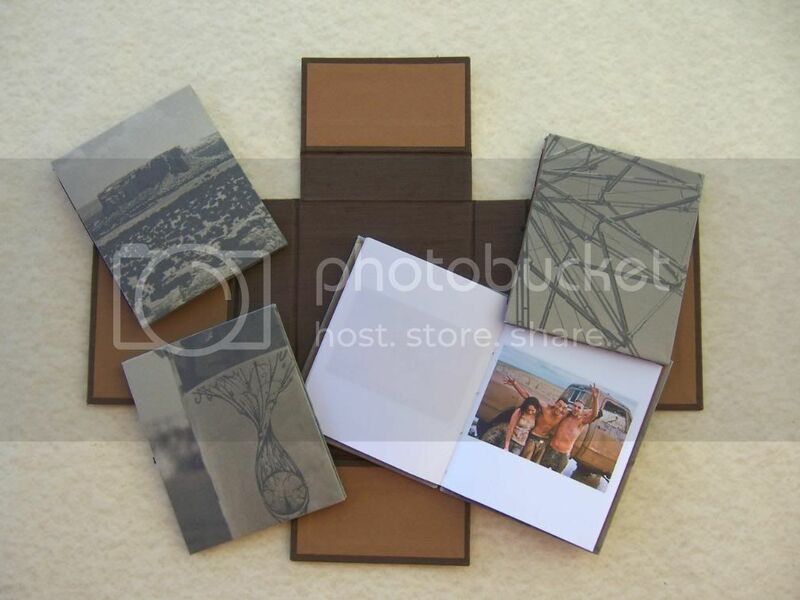 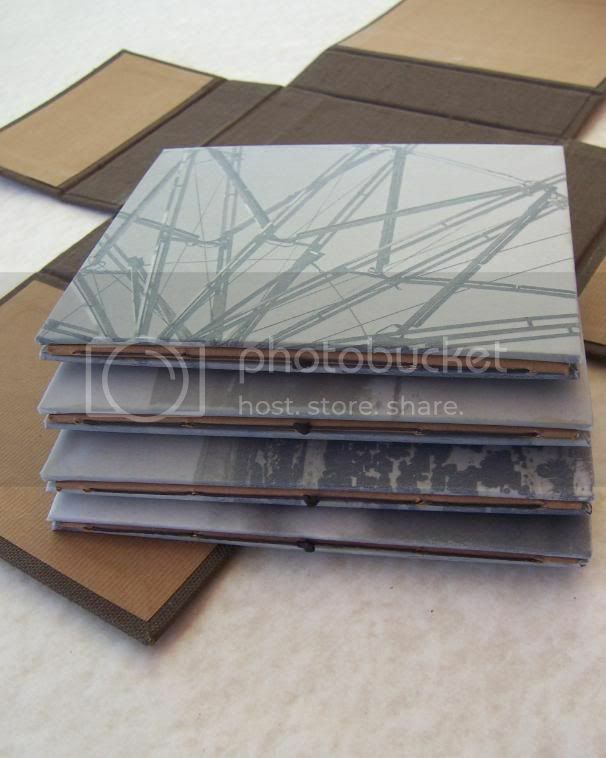 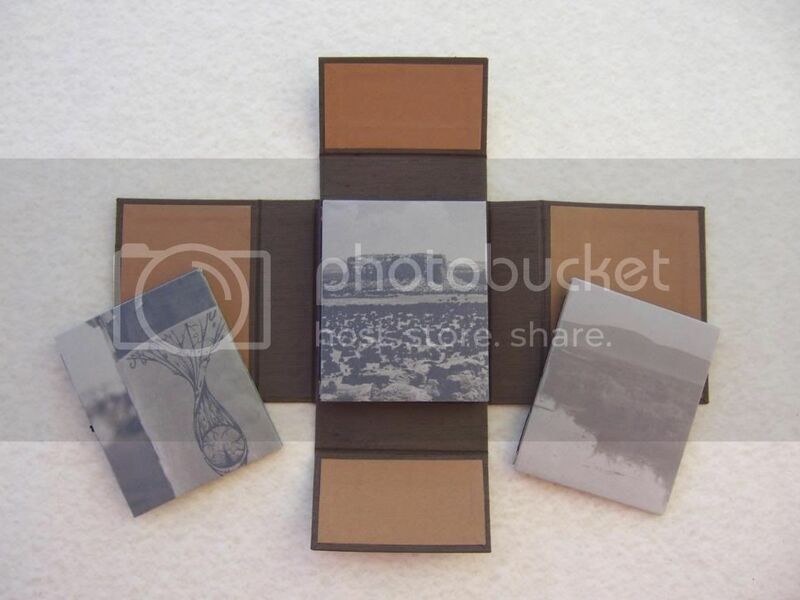 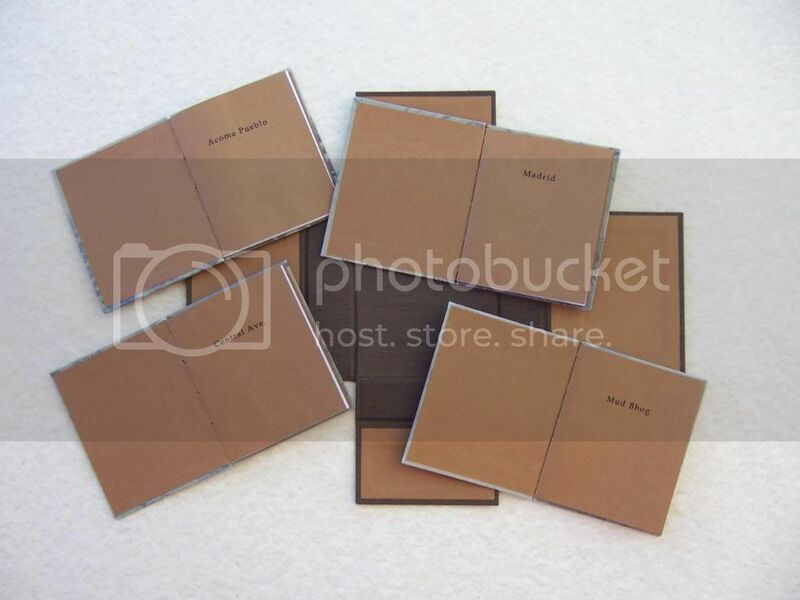 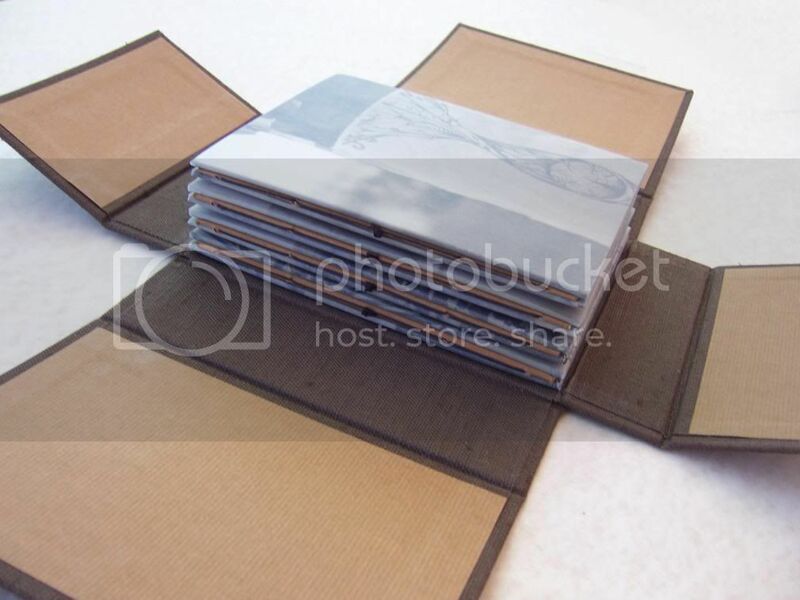 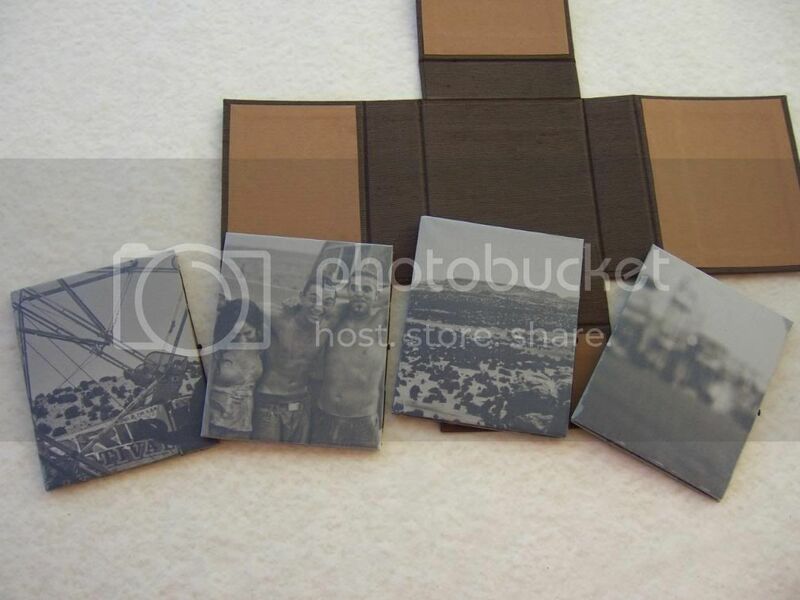 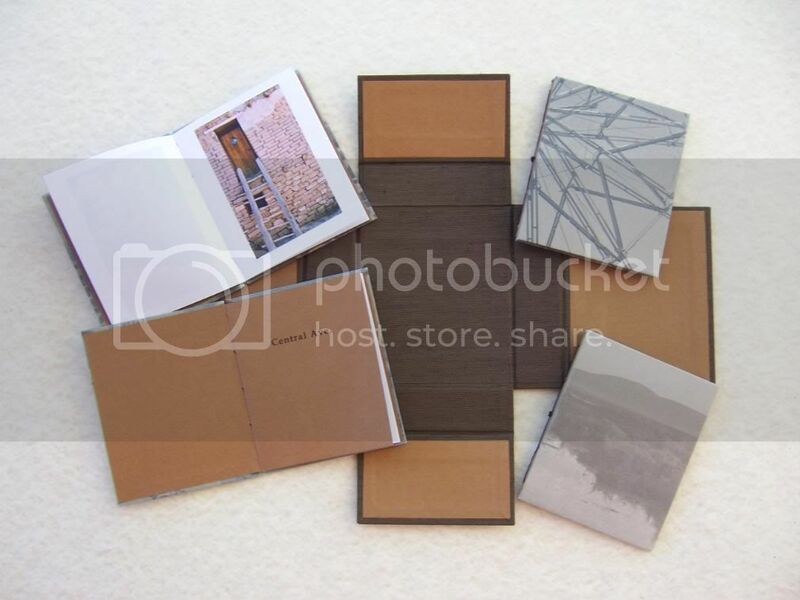 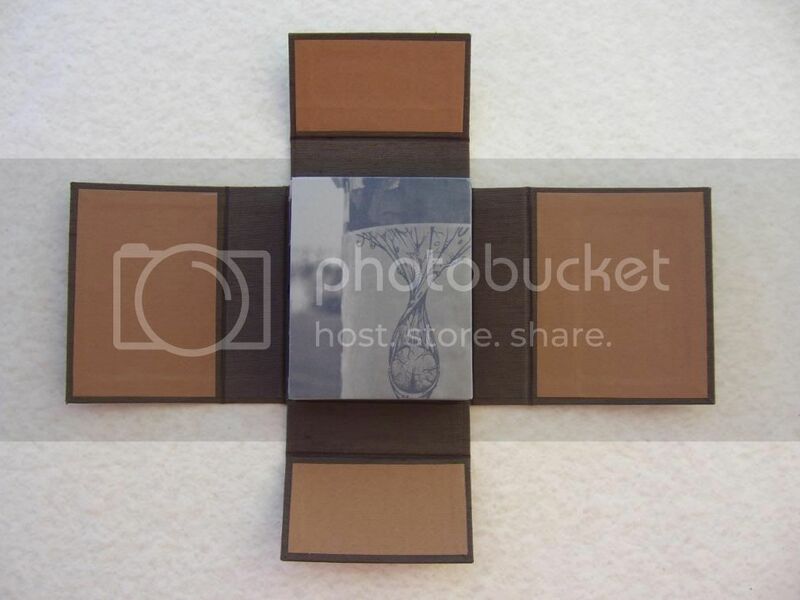 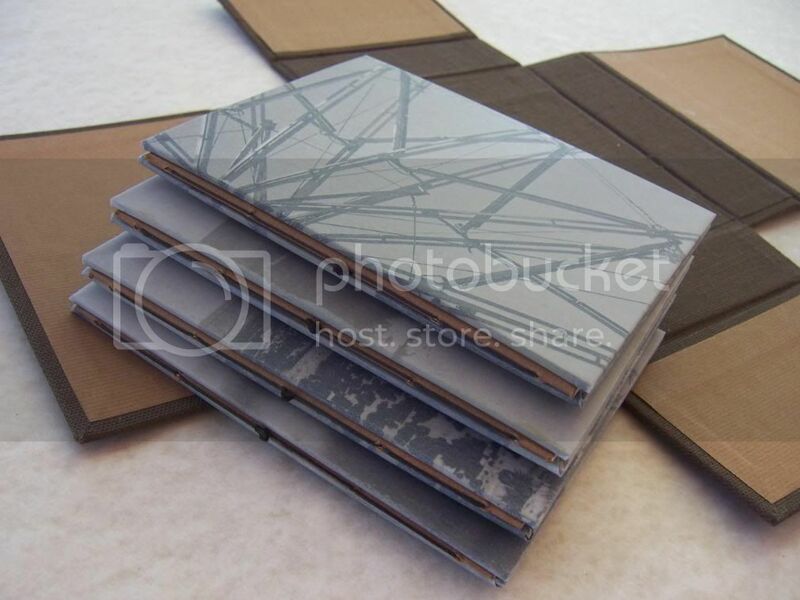 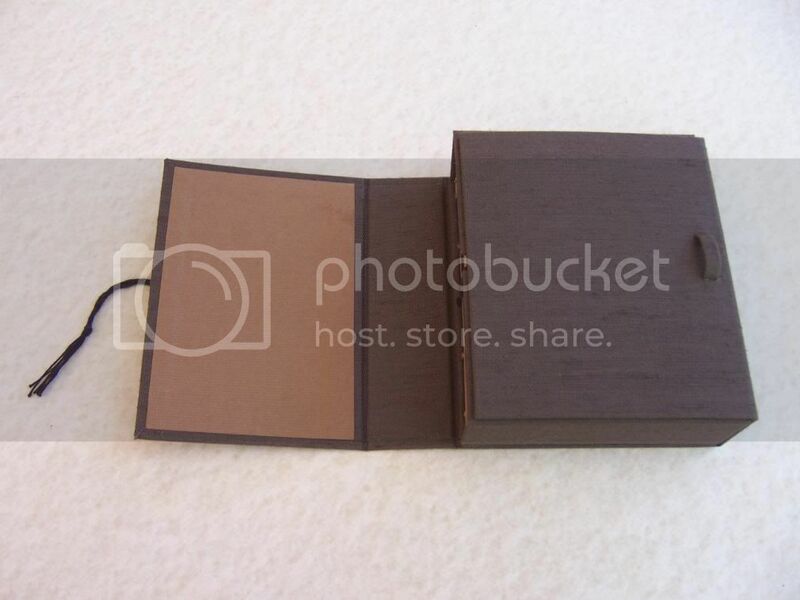 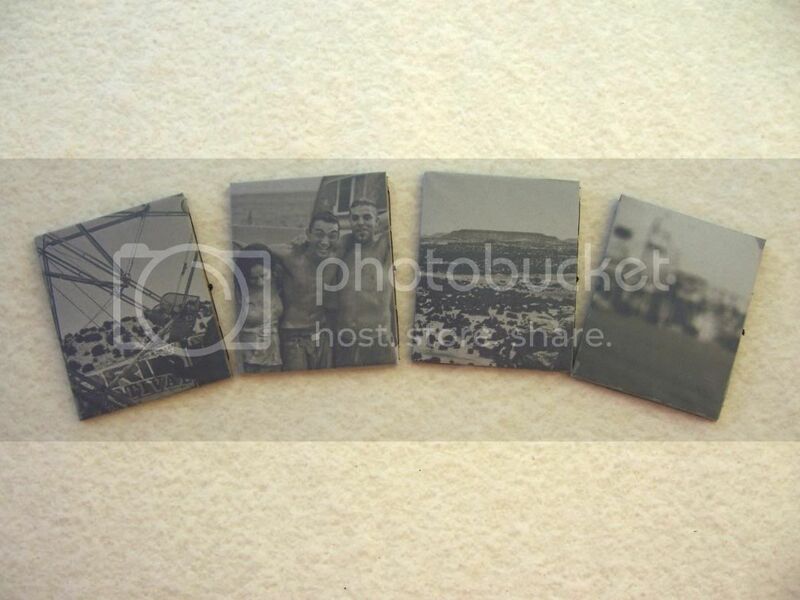 This set of four image books was hand-crafted during the Spring of 2007. 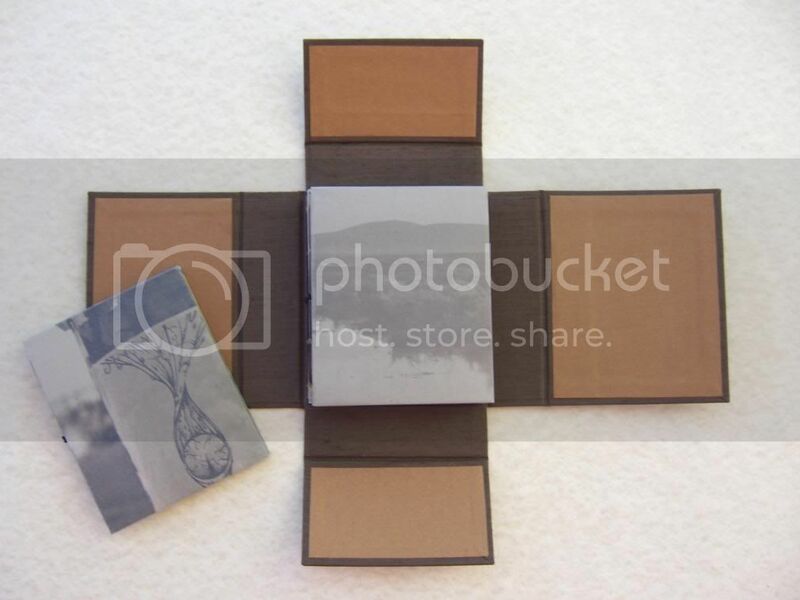 The case is a fold-out flatbox which holds four hardcover books. 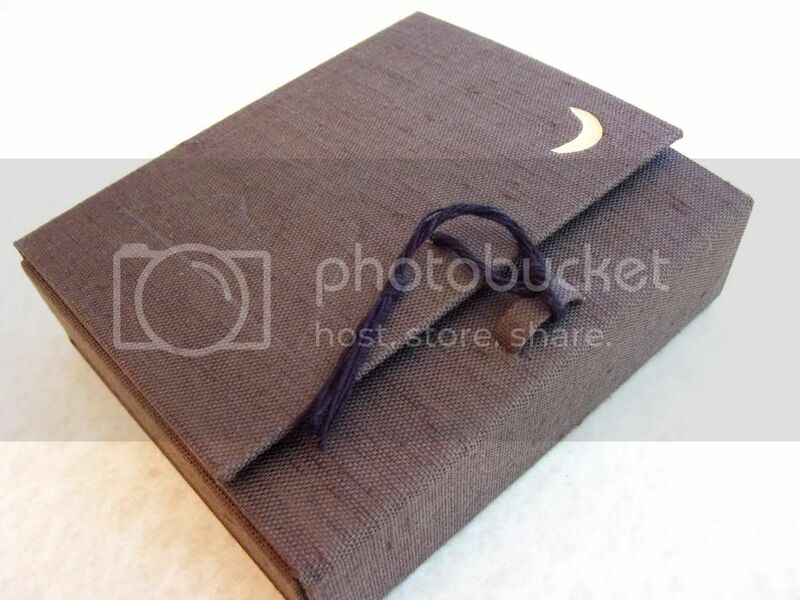 The case decoration is an inlayed crescent moon & mountain silhouette with a waxed linen "rope" tie. 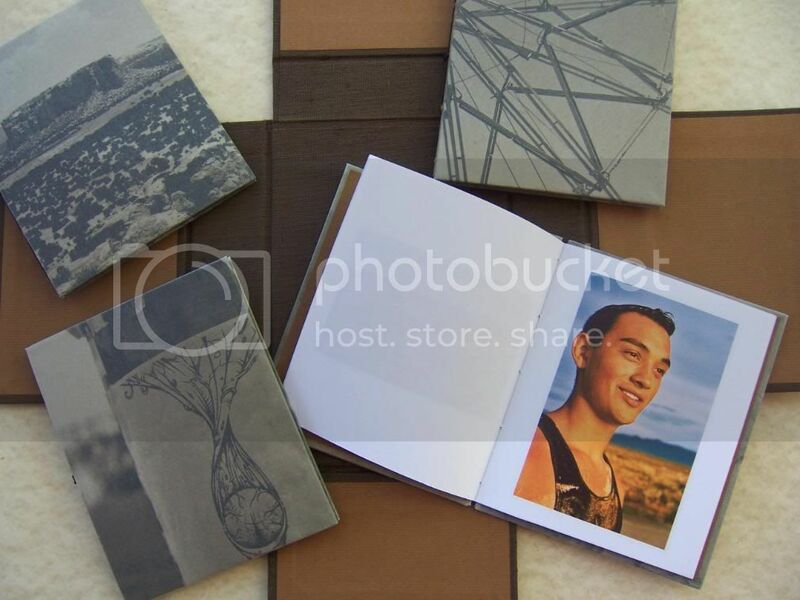 The images are printed on Southworth 100% Cotton Fiber paper with Ingres Fabriano end sheets. 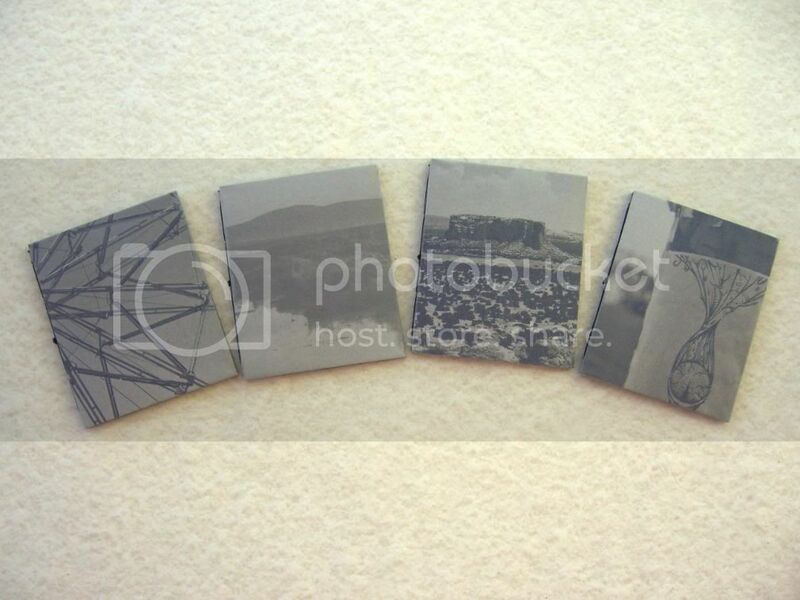 The photos were taken with a Pentax K1000 (35mm), a Holga and a Zero Image Pinhole camera (120 Medium Format). 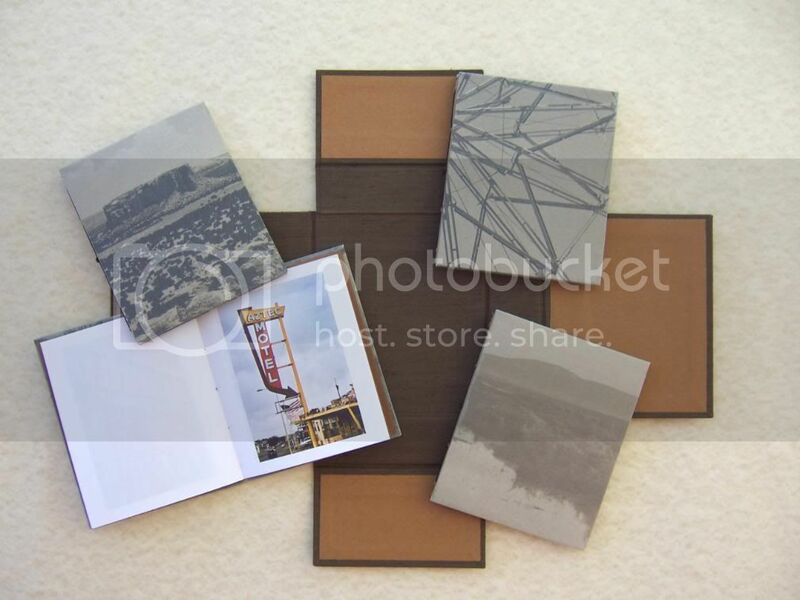 The cover images are printed on faux vellum. 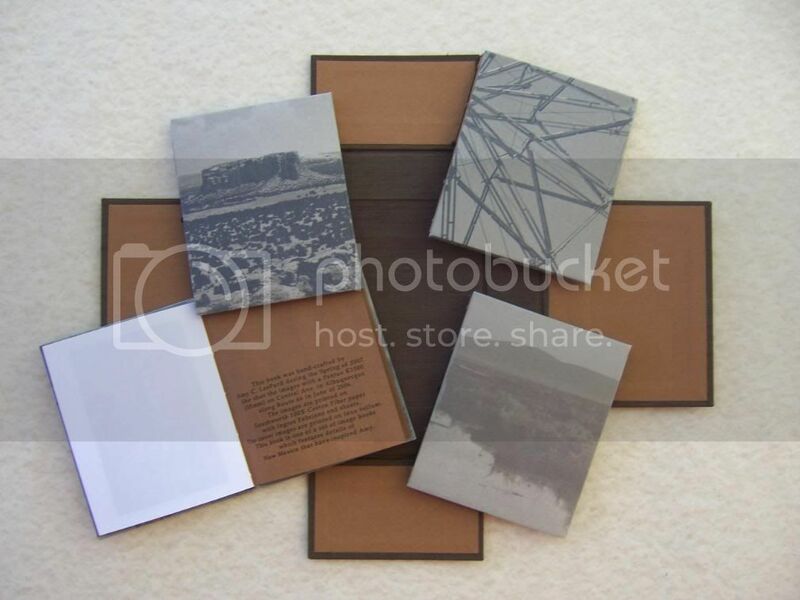 The books feature details of New Mexico that have inspired me. 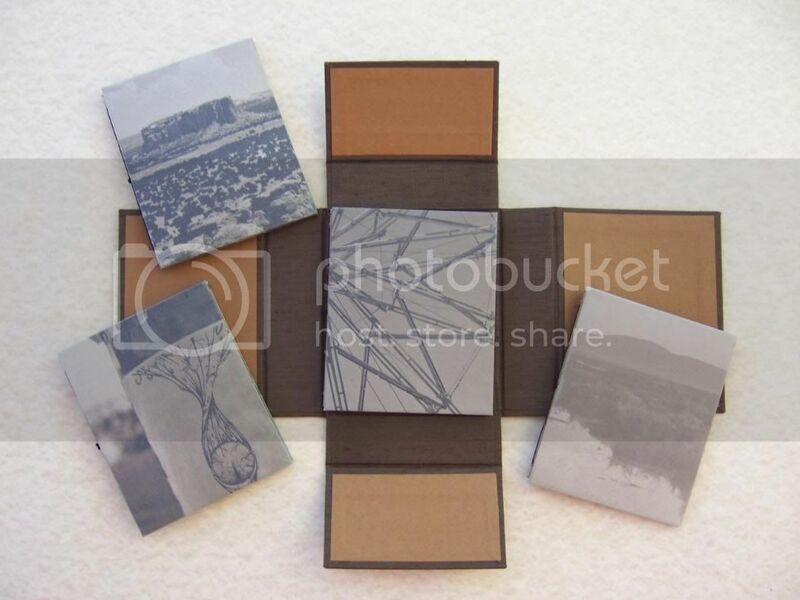 Locations of the images include Central Ave. (Route 66) in Albuquerque, Madrid, Acoma Pueblo and rural areas surrounding Taos.